Health care costs are skyrocketing across the country and a lack of access to care continues to drive individuals, families, and businesses to the breaking point. We are committed to fighting for health care as a human right that should be guaranteed by our government. We rise up for a health care system that supports healthy people and communities, not the profits of drug and insurance corporations. And we fight for a health care system that guarantees care for all; at the time we need it, regardless of where we live or who we are. Over this past legislative session, Rights and Democracy worked to ensure that Medicaid Expansion was renewed in New Hampshire. We also worked to stop the Medicaid work requirements which were regrettably passed into law and could do immense damage to vulnerable people. 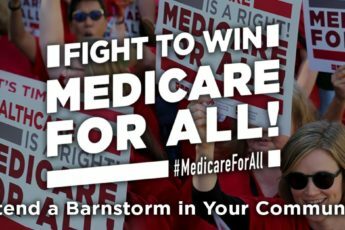 If you’re ready to join a passionate group of people fighting to ensure that EVERYONE in our state has access to affordable healthcare, join us! 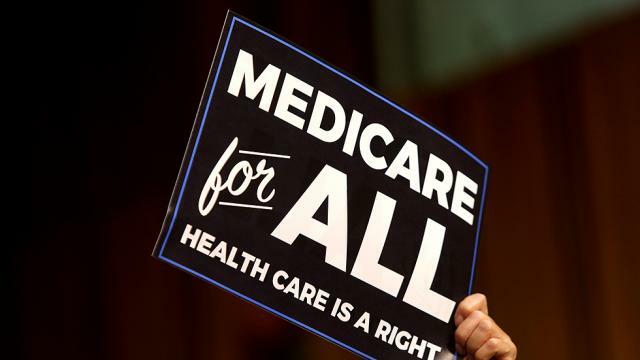 We are building out a national campaign with our partners at People’s Action to fight for an Improved Medicare for All.